Craigleith Quarry was first recorded as working sandstone in 1615 and finished by 1942. Infilling with inert waste ended around 1985. In 1993 Sainsbury’s opened their new store on the site. 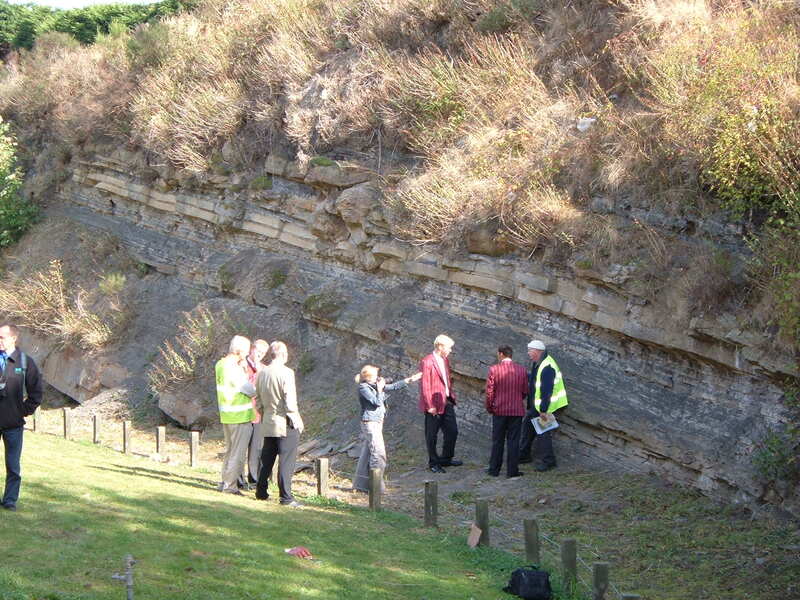 In the preceding two years, Lothian and Borders GeoConservation Group and the National Museum of Scotland negotiated successfully with Sainsbury’s to save the remaining rock face now a Local Geodiversity Site. They helped inspire various artworks on the site including carvings of the leaves of Carboniferous plant fossils found here (long trunks of Pitys withami) in Victorian times. Two new information boards relate the history and geology of this high quality building stone quarry and mark the completion of redevelopment of Sainsbury’s store in 2011.